Enterprise mobility company Formotus announced today that custom mobile business apps are now within easy reach for more organizations than ever before, thanks to its new online creator for rapid mobile app design (RMAD) without coding. For the first time in its 10-year history, Formotus now offers customers a preferred alternative to Microsoft InfoPath for designing mobile business forms. Formotus, Inc. today announced that it’s putting custom mobile business apps within easy reach for a far larger number of organizations than ever before. New options available immediately include an easy-to-use online form creator, simplified app sharing with anyone by email, and attractive new subscription plans based on app usage metrics. 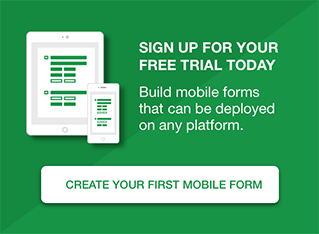 The new Formotus online form creator, released from beta this week, is now the recommended starting point for do-it-yourself mobile business app design. In the past, Formotus customers have relied on Microsoft InfoPath for form design. Formotus will continue to support InfoPath but now recommends customers start new projects online in the Formotus cloud console instead. The Formotus Now app, which anyone can open simply by clicking a link, providing a rich, custom native app experience. Formotus Now links, which give the customer control over the quantity, frequency, and date ranges of app usage. App-clicks, which are the measure of Formotus Now usage. 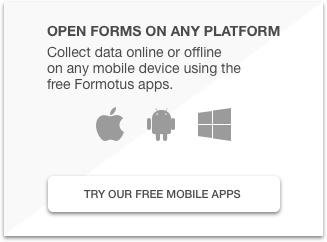 The Formotus online form creator, now released from beta, which enables non-developers to easily create custom apps in a drag-and-drop environment. Today, Formotus is also announcing two brand new subscription plans—Starter and Team. These two new plans, in combination with our popular Enterprise plan, make Formotus app solutions accessible for any size project/budget. Formotus has published guidance recommending continued use of InfoPath for existing projects for as long as it meets the customer’s needs. However, Formotus encourages customers to begin new projects using the Formotus form creator instead. Forms created in InfoPath and forms created with the Formotus creator will run seamlessly side-by-side in Formotus mobile apps.